Well this girl until the last year was called Kikyo Shiraishi but she decided change her name to Nori Shiraishi, but only the change was in her name because her music doesn't changed why? I don't know, but this single called "Fighter feat. 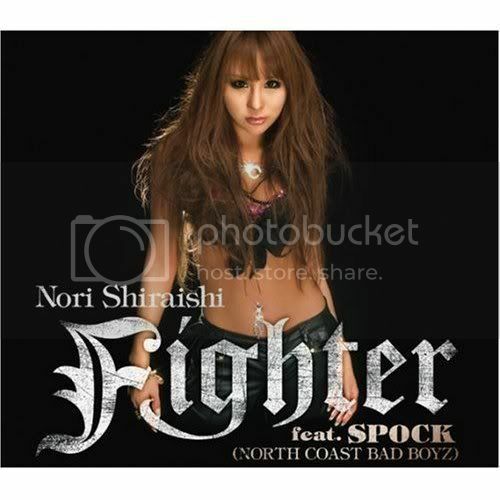 SPOCK (NORTH COAST BAD BOYZ)" for me is the same song like her first single "BLACK" under the name Kikyo Shiraishi. I hope this girl not only change her name because she needs to change her style and make new things. Fine... here the details for her single. And... talking about her video I think so she could make better video and not a recycling some scenes about her past videos. You can see her last video here.